BISHKEK -- When Sayfullo Saipov allegedly used a truck to mow people down on a New York City street last week, he guaranteed his former homeland Uzbekistan would receive the worst kind of headlines. "Saipov in a few minutes destroyed the positive image of our country that took years to build," Samarkand native Timur Gapparov, who like Saipov obtained a US permanent residency "green card" years ago and lives in New York, told Caravanserai. "Many Uzbekistani migrants in US and Europe tried very hard to acquaint others with Uzbek culture. But these efforts were destroyed in a flash." "People usually aren't inclined to study a topic in depth," he continued. "They trust headlines in the mass media." "Uzbekistan and its residents have nothing to do with Saipov, but it's going to take a long time to clean up this stigma," he said. "Now we're all considered terrorists." Yet Saipov, according to official accounts reported by AFP, came into contact with radical Islamic ideologies not in the country of his birth, but in the one he adopted seven years ago, the United States. The document charging Saipov, 29, says he confessed to acting in the name of the "Islamic State (IS) and "felt good about what he had done", even demanding to hang an IS flag in his hospital room. "I think it doesn't make sense to seek the causes behind Saipov's radicalisation," Tashkent political analyst Umid Asatullayev told Caravanserai. "He was just psychologically unstable." "There are many people like that running around," he added. "It's impossible to guess who's next. It's more important to shut down the people who radicalise others ... it's like the need to crack down on those who produce or traffic drugs, rather than on the consumers." Natives of Central Asia have been at the heart of high-profile attacks this year in Turkey, Sweden, Russia and the United States. Thousands of former residents of the region's five countries -- Kazakhstan, Kyrgyzstan, Tajikistan, Turkmenistan and Uzbekistan -- have joined the ranks of IS in Syria and Iraq since 2011. However, incidents involving violent extremism at home have been relatively rare. "Most of these attackers come from rather secular backgrounds and tend to radicalise in their country of destination rather than of origin," Yan Matusevich, research officer at the Vienna-headquartered International Centre for Migration Policy Development, told AFP. But if one single theme does link the Central Asia-born assailants accused of attacks this year in Istanbul, Stockholm, Saint Petersburg and New York, it is migration. Uzbekistani national Abdulgadir Masharipov, who killed 39 people in a January 1 attack on a nightclub in Istanbul this year, had lived and trained as a militant in Afghanistan and Pakistan, according to Turkish authorities. Another Uzbekistani, Rakhmat Akilov, who ploughed a truck into a crowd of pedestrians in Stockholm in April, was a failed asylum seeker reportedly at risk of deportation. Five people were killed in that attack. And Akbarjon Djalilov, identified as the 22-year-old bomber behind the Saint Petersburg metro blast in April that killed 16 people including himself, was born in Kyrgyzstan but left for Russia with his family at age 17. While these attacks appear to form a "Central Asian pattern", Matusevich argues they are part of "a broader, more global form of radicalisation" and that the attackers' "actual life situations were quite diverse" and came from very different backgrounds. Uzbekistan's government has said that there was nothing to indicate Saipov was an extremist before leaving. Saipov was described by his former neighbours in Tashkent "in very positive terms", said a government statement November 1. "His parents followed traditional Islam and were never seen in connection with any extremist branches," it added. Looking for a common thread, analysts have focused on exposure to online extremist content, particularly IS-produced propaganda, according to New York police. "The only thing we can say about commonalities between Saipov and [Istanbul attacker] Masharipov is that they were Uzbeks living outside the country with access to [IS] propaganda material," Deirdre Tynan, Central Asia project director for the International Crisis Group, told AFP. 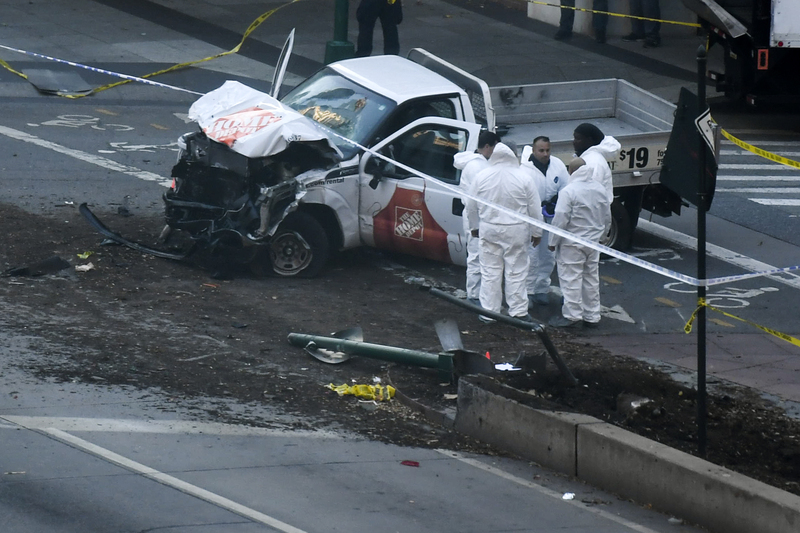 While stressing it is "too early" to say if Saipov had direct contact with IS, Tynan says the organisation has been adept at delivering its message in Russian and Central Asian languages across a variety of platforms. Sleek IS propaganda appearing to target Central Asians gained international attention in 2015 when a child identified as a Kazakhstani IS recruit was shown in a video executing an alleged Russian spy. Another video released months later featured Gulmurod Khalimov, a former special forces chief from Tajikistan who defected to IS. IS's sophisticated media strategy has been critical in recruiting Central Asians, setting it apart from other radical organisations operating in the region, Tynan said. But the group's global prominence has given former Soviet governments a pretext to intensify crackdowns on devout Muslims, say rights monitors. Similarly in Russia, since the April bombing in Saint Petersburg, security services have visibly increased raids targeting Central Asian migrants, sometimes claiming to have foiled extremist plots. "You get the impression that some of these arrests have a political thrust, to identify [to the public] an enemy of sorts," Svetlana Gannushkina, a renowned Russian rights defender whose work focuses on migration, told AFP. Central Asia's most populous country has vowed to help investigate a massacre committed by an Uzbekistani rental truck driver. What do you consider the most effective way to protect women's rights in Central Asia?